To add stepping stones to gardens or walkways, consider using "stones" that are made of wood instead of stone or concrete. You'll be strolling along your own wooden walkway with help from Michele Beschen. 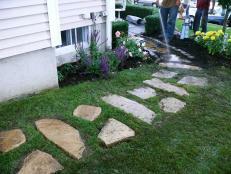 Transform 4x4 fence posts into distinctive wooden stepping stones to add beauty to your home's exterior. 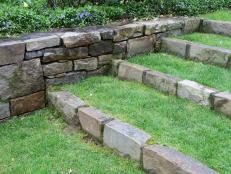 Cut the post into 1/2" thick sections; you'll need nine of these slices for each stepping stone. Cut hardware netting or hardware cloth into 10-1/2" x 10-1/2" squares. Lay one of these squares out on a piece of waxed paper or parchment paper over a flat surface. Butter the back of the fence post slices with construction adhesive and glue them directly to the netting. Wiggle the slices a bit as you place them to make sure the adhesive gets a good bond with the wood and the netting. Set a cement tile on top of the wood squares to help hold everything in place. 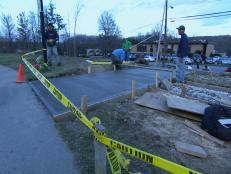 Note: Make sure you use a construction adhesive made for outdoor use; it will need to hold up in all kinds of weather. Once the glue starts to dry, remove the waxed paper. Let the glue cure thoroughly. 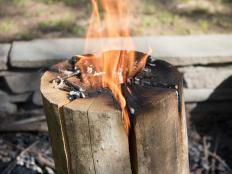 Repeat for the other fence post slices until the stepping stones are complete. 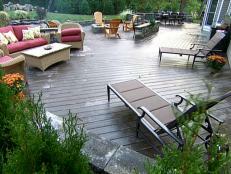 Seal the wood blocks with two or three coats of exterior-grade polyurethane. 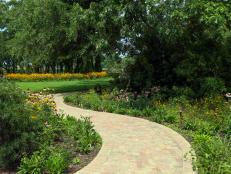 Landscape designer Jan Johnsen shares how to use stone, grass and gravel for picture-perfect pathways. Power washing patios and walkways can make weathered brick and concrete look brand new. Before you get started read these tips to make sure you get the job done right. 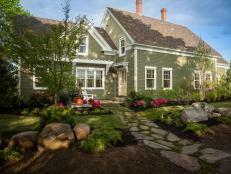 The home's original drive, repaved with pea gravel, leads to a gracious cedar-shaded side entrance and flagstone walkway. 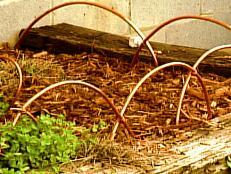 Learn how to edge garden beds with copper tubing. It's a hip departure from run-of-the-mill wire edging, and the copper takes on a beautiful patina as it's exposed to the elements. Charm preserved, Blog Cabin 2012 greets the neighborhood with a new roof, relocated front entrance and durable fiber cement siding. 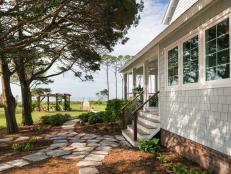 Creating an outdoor living space is easier than you think. 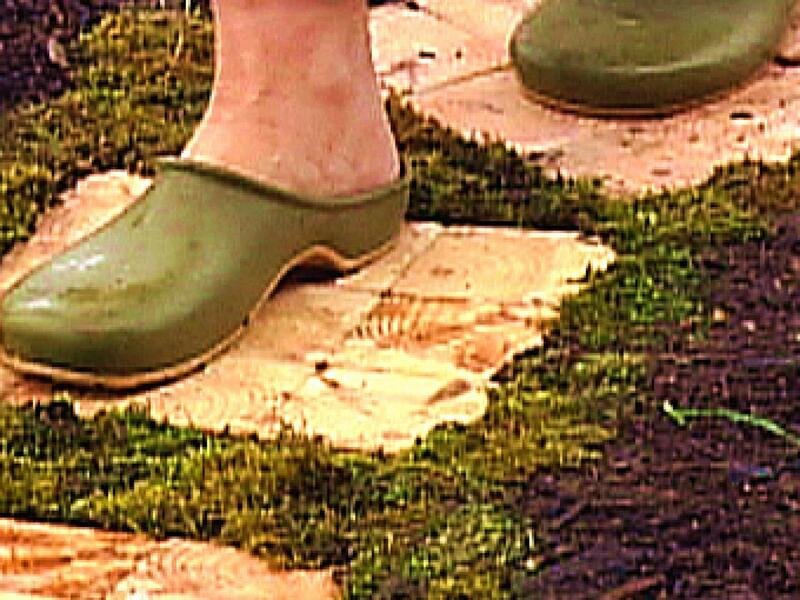 Use these tips to build the perfect patio. 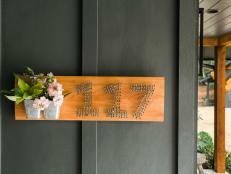 Greet guests in style (and ensure the mailman never gets lost) with a DIY address sign you can make for less than $20.